The Isopoda are best known for the tiny woodlice, sowbugs or pillbugs found on land, also known in some regions as chuggypegs, roly polies and even granfer gravies. 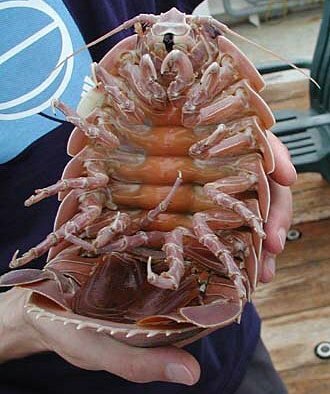 Actually crustaceans, like crabs and lobsters, there are thousands of species both on land and sea, but all pale in comparison to the ghostly and beautiful behemoth that is Bathynomus giganteus, an example of deep sea gigantism. Dominant scavengers of the sea floor, these crawlers grow over a foot in length and swarm over large animal carcasses, sometimes gorging until they can scarcely walk. Like many other granfer gravies, female giganteus develop a pouch called a marsupium to carry their eggs, though little else is known of their reproductive habits. 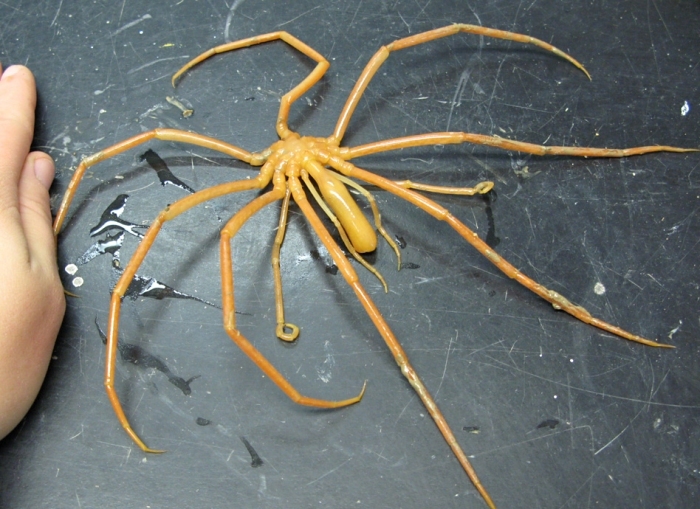 Also unusually large is the sea spider Colossendeis colossea, resembling H.R. Giger's facehuggers with its fleshy complexion and leg span of two feet. Not true arachnids but arguably close, sea spiders feed by sucking fluids from their prey, and with very little "body" to speak of, they carry most of their internal organs inside of their long legs. 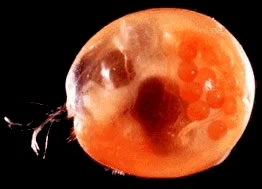 A personal favorite of mine is the ostracod Gigantocypris agassizii, or "giant seed shrimp." While most Ostracoda are smaller than the head of a pin, this leviathan is nearly the size of an average grape! What, that's not impressive? Come on, imagine a dust mite or a paramecium you could roll around in your hands! Seed shrimp protect their bodies with a round, transparent shell that opens lengthwise, like a clam, and catch tiny food particles in their feathery legs. 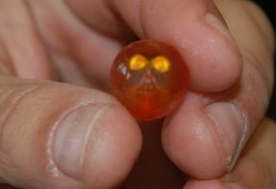 Gigantocypris is most unusual for its very large, reflective yellow eyes, giving it a lovely Jack O' Lantern color scheme.